There is no reason not to hire just the “SWALLOW” APARTMENTS. 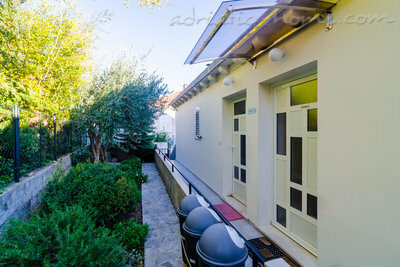 Right now there are many reasons to hire just our apartments: we do not lie and cheat guests, we guarantee quality that we offer, we pay taxes, offer cozy accommodation with reasonable price, feeling as if you are at home and not with a mass of unknown tourists, always clean and tidy, nicely furnished apartments and not less important, with always charming hosts. 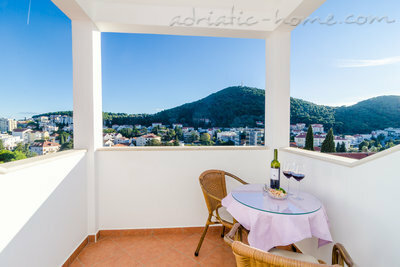 Apartments are superbly located in the part of Dubrovnik called Lapad in area of family houses and hotels (Park, Kompas, Dubrovnik, Sumartin, Zagreb), few minutes walking to the beach (sand or stone) and public transport every 15 minutes to the old town. 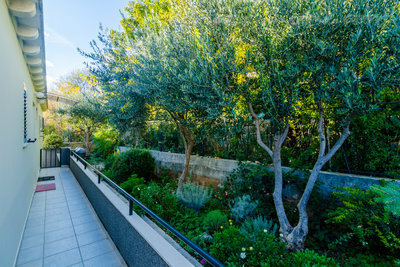 Nearby is walking area with cafe bars, tennis courts, beaches, shops, bank and post office. 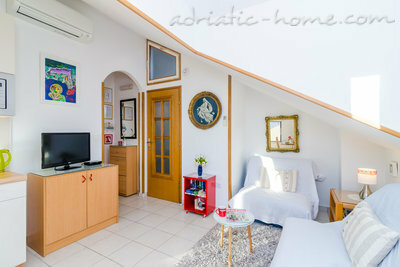 The apartments are situated on the second floor of Ercegović family house. Includes: one double bedroom, living room with kitchen, bathroom and balcony with fantastic view of the island called reefs. 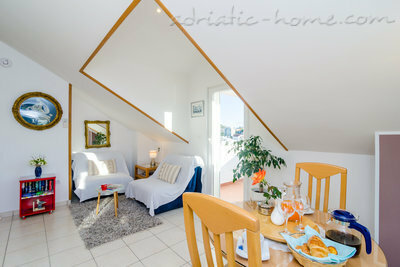 The total area is 35 m2 for 2 persons and a child. Private parking is in front of the house. - the total settlement will be paid at arrival at "SWALLOW"
For any further information please don't hesitate to contact us ! 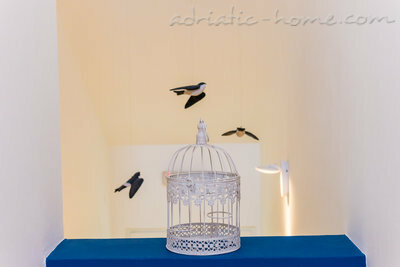 This was my husband and I's second year visiting Dubrovnik and the second time that we have stayed in this apartment [Swallow 2]. 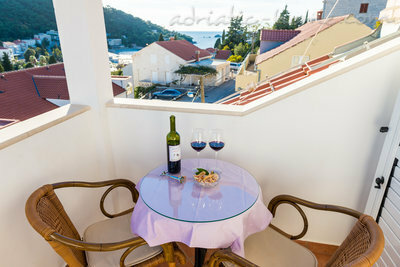 The apt is on the top floor and has fantastic views of Lapad from the balcony. 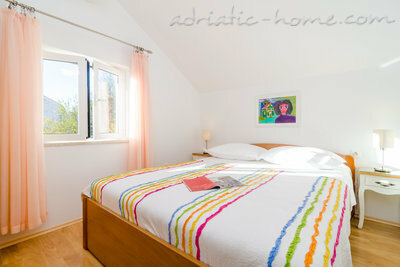 It is light, very clean, comfortable and well furnished with everything you need to enjoy your stay. In the bedroom there is a king-size bed and ample storage space. The location is superb, with the beach and promenade only about 5 minutes walk away as are the post office, bank, chemist and a well-stocked supermarket. The owners, Marijana and Ivan, are the best! They are kind, helpful and gave us really useful advice about the area. Anything you want to know just ask. The whole experience for us there was a delight and if we return sometime, this is where we would hope to stay. We love it! 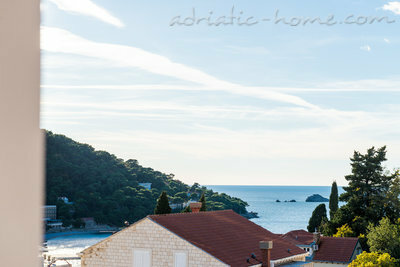 In August 2011 my husband and I were on holiday in Dubrovnik and spent 10 pleasant days in these apartments. First 7 days we lived in “Swallow 1”, and last 3 days – in “Swallow 2”. 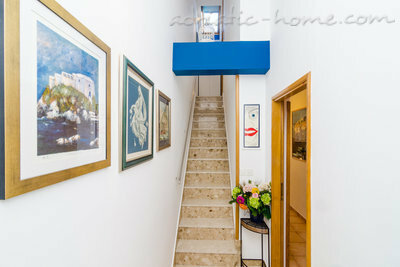 Both apartments are really comfortable, with good furniture and bathroom equipment, satellite TV, and free Wi-Fi. The apartments are also good located: Lapad beach and promenade are in 5 minutes of walking; bus stop, supermarket and bank – in 7 minutes. 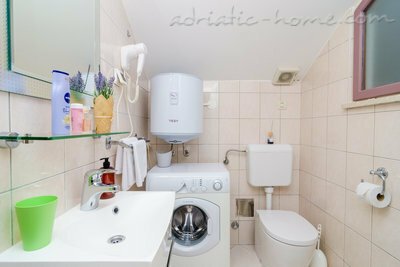 The hosts of apartments, Ivan and Marijana, are very friendly, and very attentive to their guests. To be perfectly fair, we noted (only) three disadvantages there: (1) there are no air conditioners in bedrooms “Swallow 1” (in “Swallow 2” it is); (2) rarely there is some smell in bathroom “Swallow 1”; (3) washbasin in the bathroom “Swallow 2” is too small (in “Swallow 1” it is excellent, double). 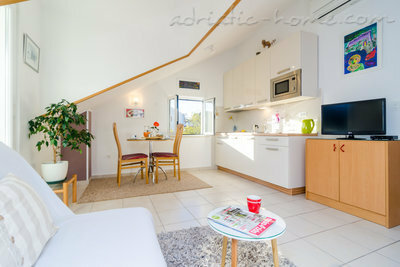 Nevertheless “Swallow Apartments” is very nice place to stay! В августе 2011 г. мы с мужем отдыхали в Дубровнике и замечательно пожили в этих апартаментах 10 дней: сначала 7 дней в «Ласточке 1», потом еще 3 дня в «Ласточке 2». И те, и другие апартаменты уютные, с хорошей мебелью и сантехникой, спутниковым ТВ (в т.ч., есть каналы на русском) и безлимитным Интернетом. Расположены тоже удобно: в 5 минутах ходьбы – пляж и променад, в 7 минутах – автобусная остановка (автобус идет до Старого города), супермаркет, банк. Хозяева апартаментов, Иван и Марьяна, очень приветливые и внимательные, нам они очень понравились. Чтобы быть максимально справедливыми, напишем также о тех (всего лишь трех) минусах, которые мы обнаружили: 1) в спальнях «Ласточки 1» нет кондиционеров (в «Ласточке 2» есть); 2) изредка в ванной комнате «Ласточки 1» унюхивается специфический запах; 3) раковина в ванной комнате «Ласточки 2» слишком миниатюрная (в «Ласточке 1» раковина шикарная, двойная). Несмотря на это, апартаменты нам очень понравились, смело рекомендуем их. 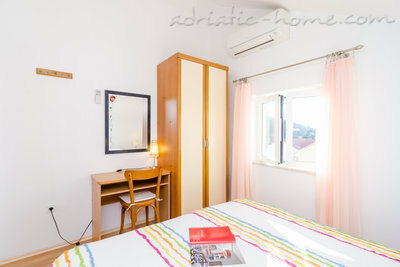 A very nice apartment to see Dubrovnik and locations around. 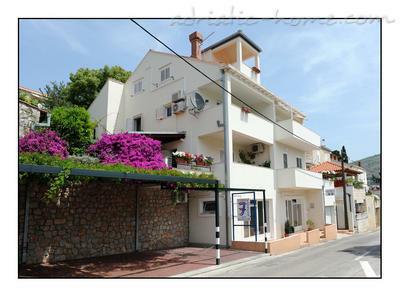 Nearby beaches and public transport services to the old town. Perfect equipment and services. Fantastic courtesy and kindness of the owner.